The New York Public Library recently opened the Lou Reed Archive, complete with 6000 limited-edition library cards. Record collectors will recognize the image of Reed, taken by Mick Rock, as the album cover art for 1972’s Transformer. 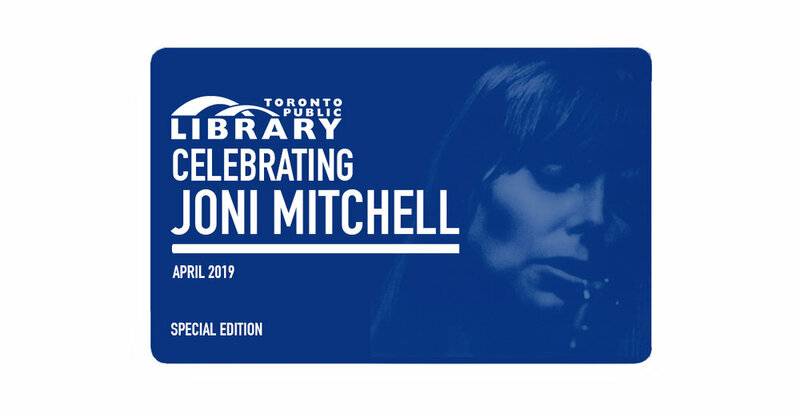 The Toronto Public Library isn’t without its own music-themed events - it recently debuted an exhibit on DJs and hip-hop culture - and may one day host archives that stir similar envy in music nerds outside the city. However, we couldn’t help but imagine what some local music-themed library cards might look like. 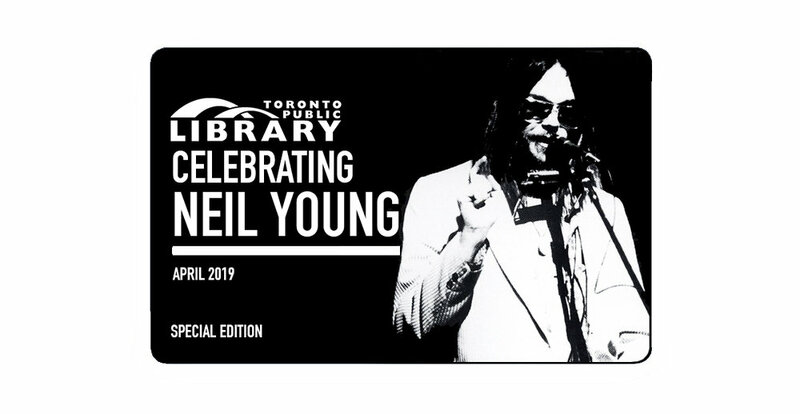 Despite offering a seemingly endless supply of albums to choose from, Neil Young doesn’t have much cover art in his discography that suits the monochromatic look of NYPL’s Lou Reed card; Transformer is probably Reed’s most recognizable solo work but the simplicity of the design no doubt kept production costs down. We tried making a TPL card using the artwork for After The Gold Rush but, even in our imagination, a public library doesn’t have the budget to print full photos on their cards. Much more practical that Tonight’s The Night, despite being one of Young’s darker albums, would be chosen for its suitable aesthetic. None of Drake’s album covers really suit the original design. Maybe the Deluxe Version of Nothing Was The Same, which shows Drake in side profile, would work but it’s not one of his more memorable albums. If You’re Reading This It’s Too Late is probably his most iconic (or memed) cover but it doesn’t feature him at all. Instead, we went with an arguably more iconic image from the video for “Hotline Bling”. Sure, it’s a photo, but if anyone could leverage an exception in a (imagined) series of special-edition library cards, it’s Drake. We know, we know. 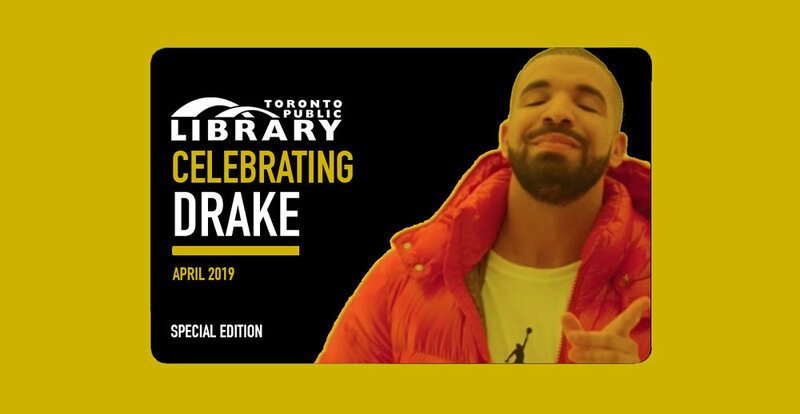 The Toronto Public Library isn’t going to do a tribute to Drake any time soon. What this Photoshop presupposes is, what if they did? Membership would skyrocket, especially with younger readers and - let’s be honest - non-readers. The eBay listings for resales of the card alone might prove to be a new frontier for library marketing. A library archive dedicated to Canadian metal? Fine, laugh all you want. But maybe Toronto culture (or Ontario culture, or Canadian culture…) needs a little less that’ll-never-happen and a little more metal.